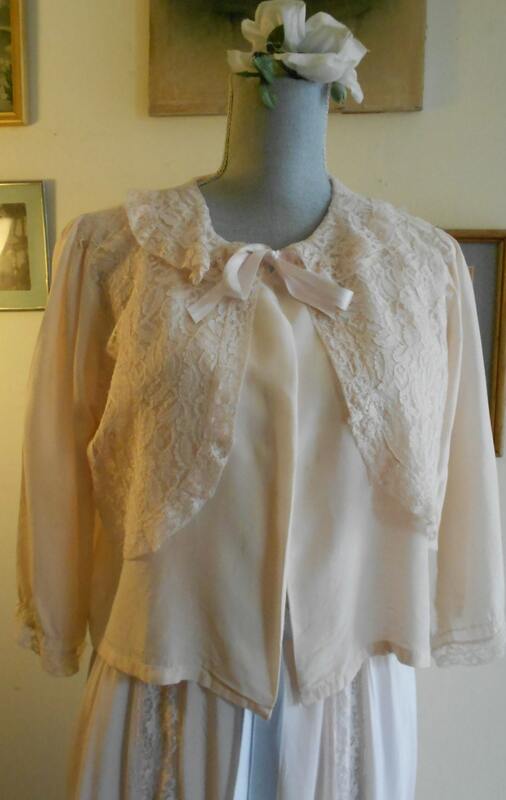 1950's, 36" bust, pale pink rayon bed jacket with faux pink nylon lace vest and collar attached to jacket front. 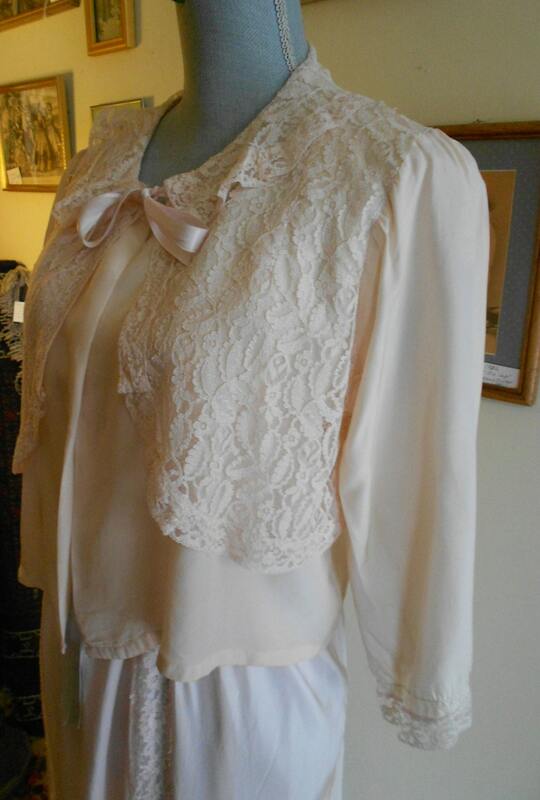 Bed jacket has long loose wide sleeves edged in lace. 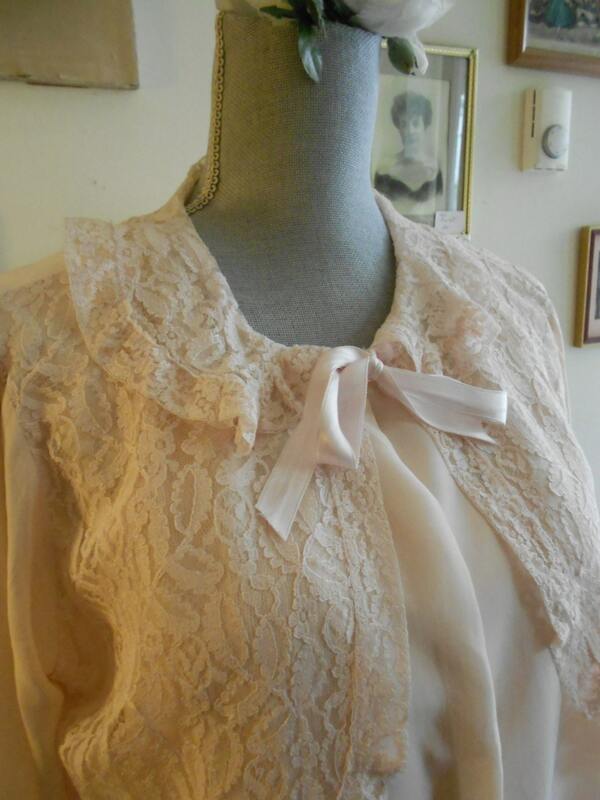 The bed jacket is fastened in front with two pink satin ribbons. 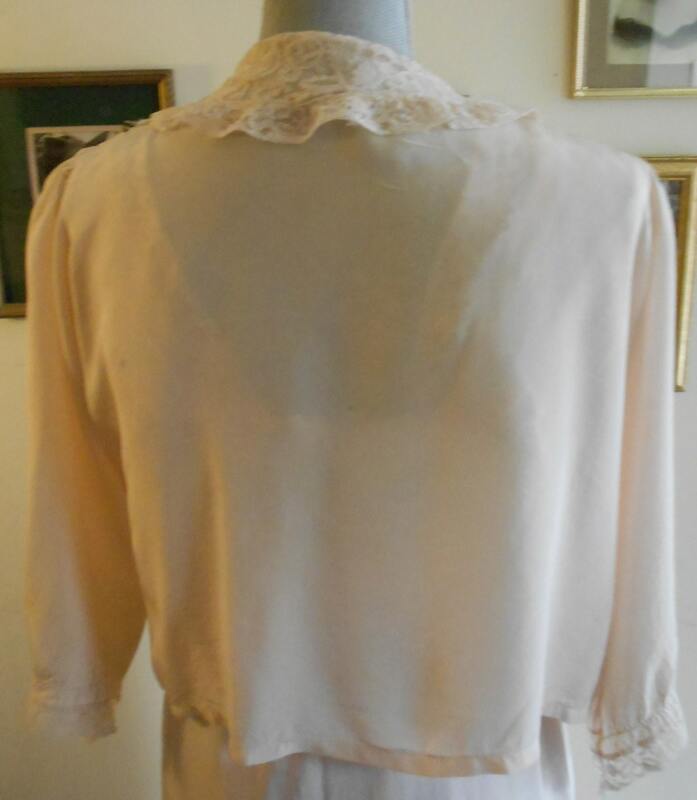 Label reads "Betty Lou lingerie".